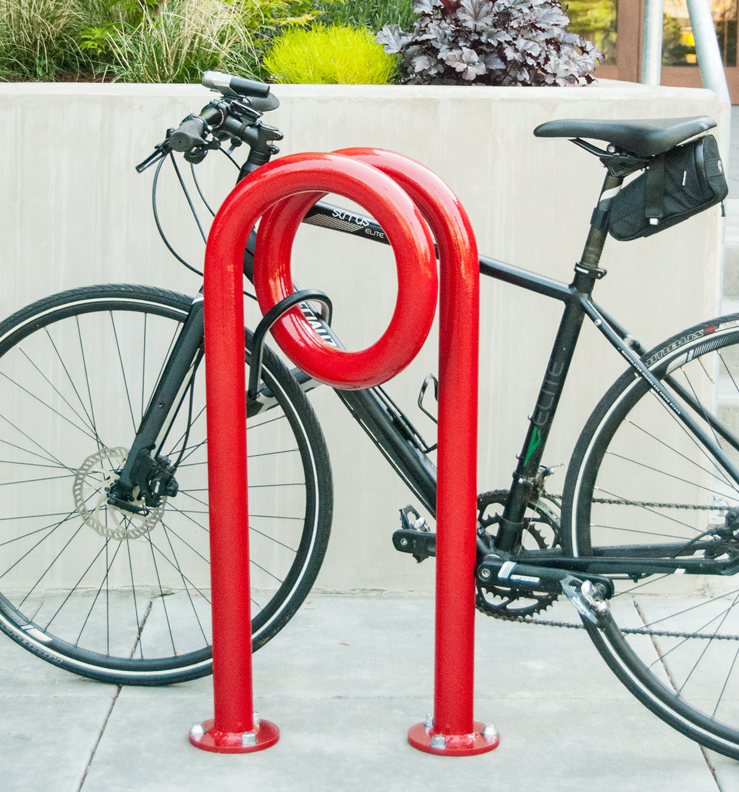 Add some personality to your bicycle parking area with the dynamic, narrow-footprint Corkscrew commercial bike rack. 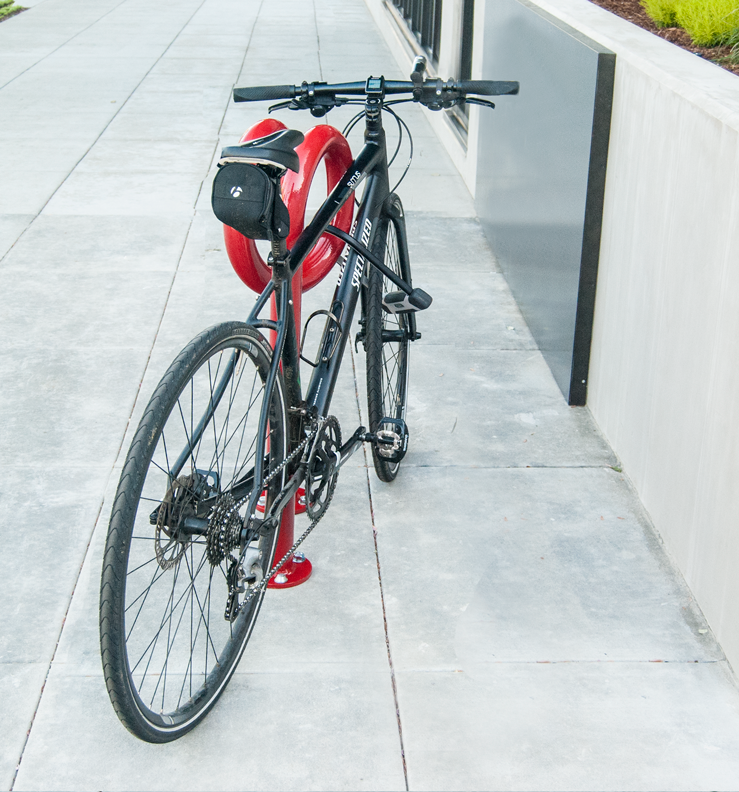 Our Corkscrew racks provide 2 points of contact for each bicycle and hold the bike upright, allowing the cyclist to lock their frame with their front and back wheels. Because of the twist, the corkscrew works great for adding a bit of angle to bikes against a wall if you have plenty of sidewalk (align the footprint to the wall) or you can set bikes straight for narrower spaces (align the twist to the wall). 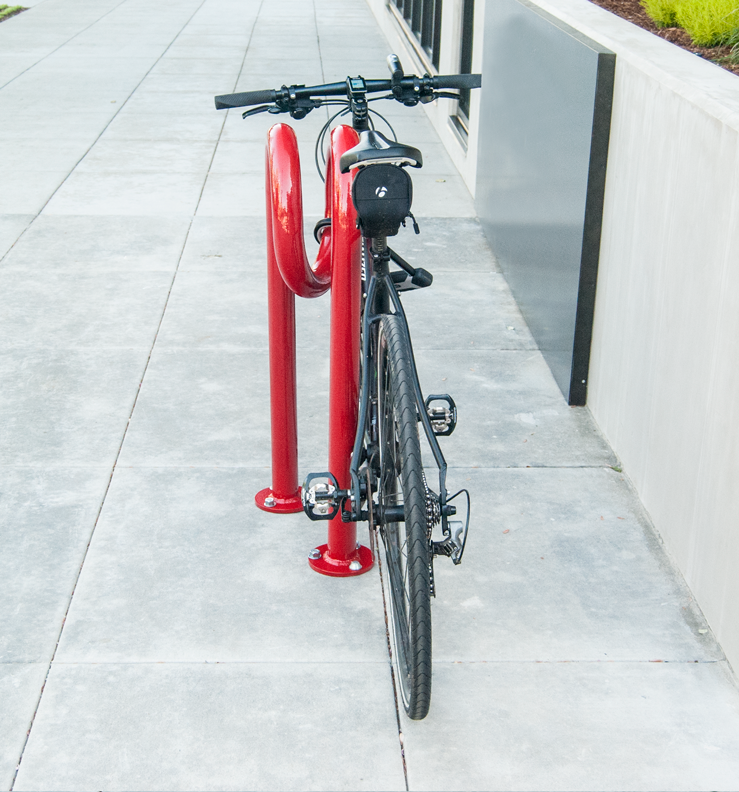 All Huntco bicycle racks are available with anchor bolts and tamper-proof breakaway security nuts for an additional fee. Inquire on your next quote request!